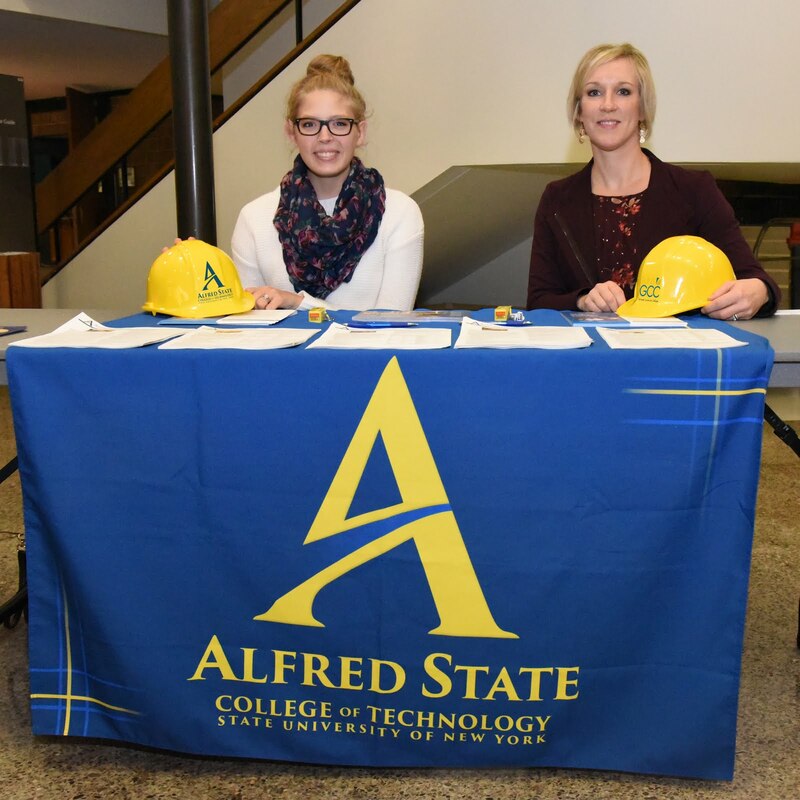 BATAVIA -- According to a new academic articulation agreement executed between Genesee Community College (GCC) and Alfred State College (ASC) earlier this month, students pursuing a Bachelor of Science in Construction Management degree can start the program by earning 50 transferable credits at Genesee Community College! The articulation agreement is the latest in a chain of efforts the two institutions have undertaken as part of their continued relationship and partnership in a SUNY PIF (State University of New York Performance Improvement Fund) grant. Introduced in December of 2017, the SUNY PIF grant enabled GCC and ASC to collaborate and provide educational opportunities specifically for non-traditional aged students. Earning an associate degree at GCC before transferring to ASC could save a student an estimated average of $5,000 to $10,000 over their first two years of college. During those first two years, which are spent at GCC, students will complete general education requirements and be guided into specific electives that meet ASC curriculum criteria, therefore maximizing the number of transferable credits. Upon acceptance and enrollment at ASC, students articulating under this agreement would be guaranteed the opportunity to earn the Bachelor of Science in Construction Management in just five additional semesters, some of which can be completed online. Interested individuals are encouraged to contact Genesee Community College Academic Success Coach Angela Tozer at (585) 343-0055 ext. 6100, or via email: altozer@genesee.edu to get started.